Having a strong brand identity is what will get your product recognized and picked up from the shelf over another brand with a similar product. What kind of message is your brand’s packaging sending out to consumers? Shoppers will subconsciously analyse product packaging and pick the one that they resonate with, and that trigger could be from an alignment with their lifestyle, demographic, or other components of their personal identity. 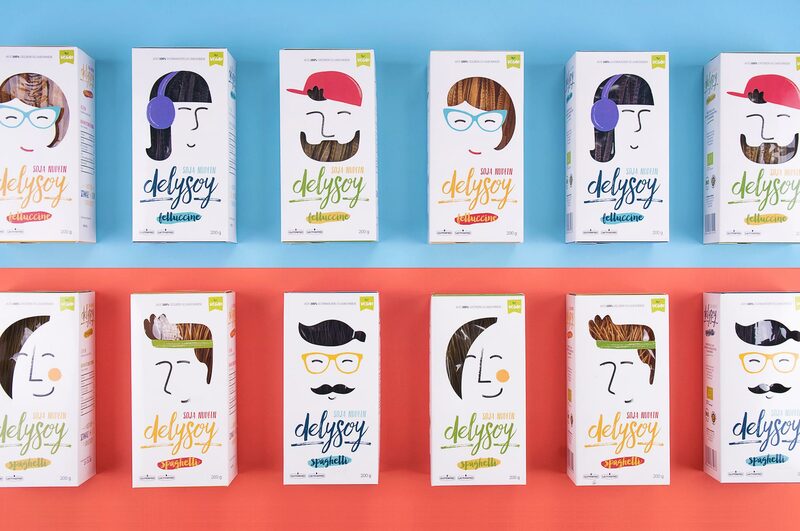 Personalizing packaging not only helps consumers pair the brand and the product together, but it allows room for an emotional connection between the brand and the consumer. This kind of psychological bond is what will keep shoppers coming back to the same product – the one your brand is promoting. So what are some of the aspects of personalized packaging that makes it stand out? Here are five factors we consider when creating unique packaging designs for our clients. Font and size can say a lot about a brand. Typography is an art form that can work to bring a brand’s voice to the forefront. It gives it character and distinguishes the packaging from the one sitting next to it. The word ‘typography’ comes from the Greek words τύπος (typos – ‘form’) and γράφειν (graphein – ‘to write’), and is defined as the style and appearance of printed matter. One of the first things we consciously register is imagery. Typography fits under this visual category, but the type of imagery we are talking about is graphics and illustrations. These kinds of images work on many levels, as language isn’t necessary to communicate the story across. Good imagery will enable everyone to understand the brand’s beliefs and vision, even those who can’t read English. The psychology of colours is used for the best marketing campaigns, and product packaging is no different. Different colours evoke different emotions in people – for example, blue signals trust and green makes people feel like the product is natural and pure. Using the right colour will draw your target audience to your product like bees to honey, and it will also help establish your brand’s identity. The materials used to create the product packaging can have a big influence on buyer’s decisions. More people are choosing environmentally friendly packaging, or at least packaging that ticks some of the boxes, i.e. is made from renewable materials or is recyclable/reusable. The materials you use to represent your product and your brand will impact the types of consumers you attract. Getting creative with the shape of product packaging is a great way to make your product stand out. It will also determine the way it feels in a shopper’s hands, and how it fits into their sensory experience. Does it have pointy corners or a rounded surface? Is it a classy rectangle or an eccentric star? Shapes can say a lot about a brand’s personality and the type of product within. For packaging design in Auckland, get in touch with our creative team.